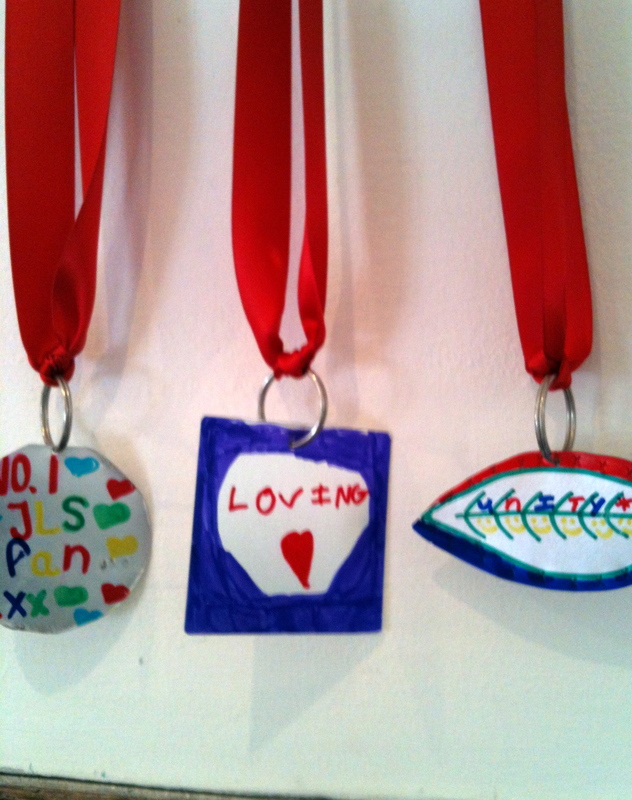 Today we visited the New Ashgate Gallery here in Farnham because they are having a fundraiser. 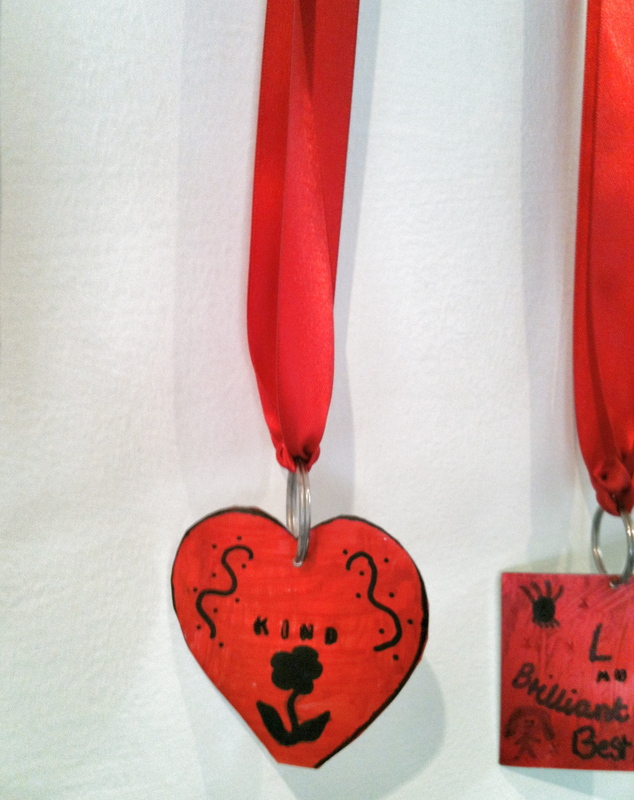 AP was especially moved by an exhibit that featured special medals that children made as a hat tip to the Olympics. 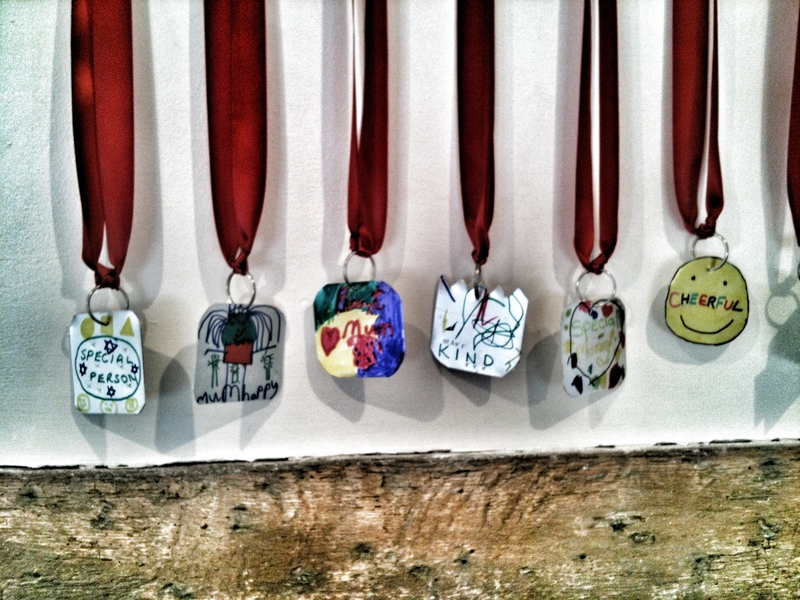 Instead of medals for fastest swimmer/biker/runner, these medals are for being kind… for being hilarious…for being a best friend. Wouldn’t it be nice if there were an Olympics for best in humanity? Oh I know… that’s so corny. But it made AP tear up. It would be nice to simply have folks WANT to compete! Maybe science can isolate the mean gene, and then everybody could get a medal for ‘nice’. Alan, that’s a terrific comment!